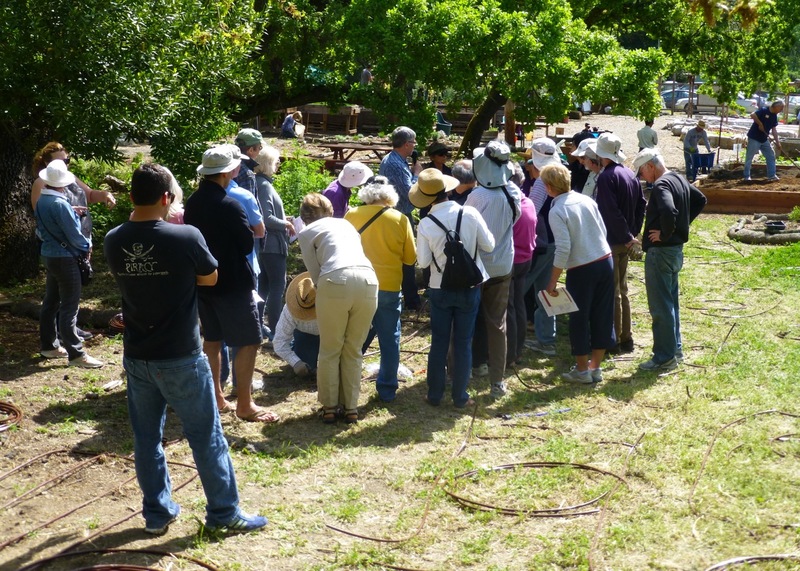 More than 30 members and friends of the Garden turned out for the April 13 class on Irrigation and New Norms for California Landscape. EBMUD’s Scott Sommerfeld did a great job and we did some hands on training while learning how to assemble drip systems. Join Pamela Winther, Landscape Architect and Adjunct Professor at DVC to learn all about butterfly gardens and the beauty and delight they bring. She’ll tell us the best plants to grow, what conditions they need to flourish, and which beauties you’ll find in your garden. We’ll explore the Community Garden’s new butterfly garden and maybe find some visitors. This entry was posted in Community Events, Gardening Tips, Outdoor Learning Center and tagged Best Practices, Irrigation. Today is Earth Day In Lafayette!